Home Bikes News Hero HX200 R (New Karizma) Launching Soon – What to Expect? How many of you remember the Hero HX250R concept that was showcased at the 2014 Auto Expo for the first time and later at the 2016 Auto expo as well. Unfortunately, the concept never got a taste of the tarmac. 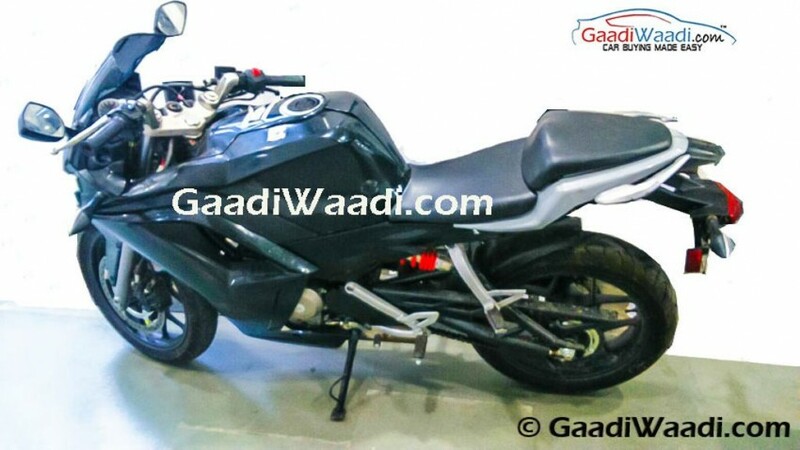 The good news is that recently a short video of a faired Hero Motocorp motorcycle emerged on the internet and the bike shown in the video appears to be based on the same HX 250R concept. Although the video reveals only a few details about the bike but the HX250R inspired design is quite apparent. 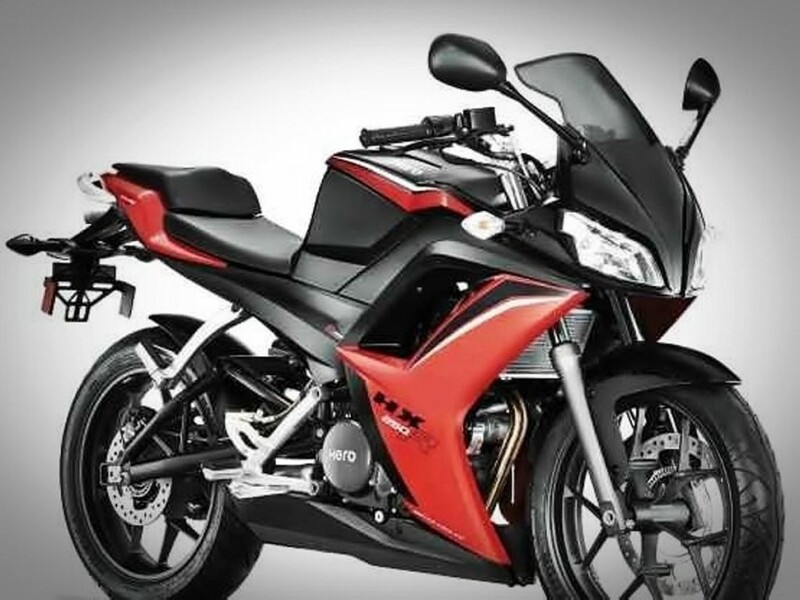 The spied motorcycle features a full fairing and few online reports suggest that Hero Motocorp could possibly launch this new motorcycle as a replacement for the outdated Karizma ZMR. That said, here are a few things that you could possibly expect from the upcoming Hero HX200 R.
Although the video reveals only a few details about the HX200 R but expects the upcoming motorcycle to feature a single headlamp towards the front instead of dual from the concept. Although we are not exactly sure at this moment but you can expect the headlamp to be an all LED unit (instead of halogen units) and it will also feature LED daytime running lamps. The fully digital instrument cluster that you can notice on the motorcycle has also been shared with the soon to be launched Xpulse 200. 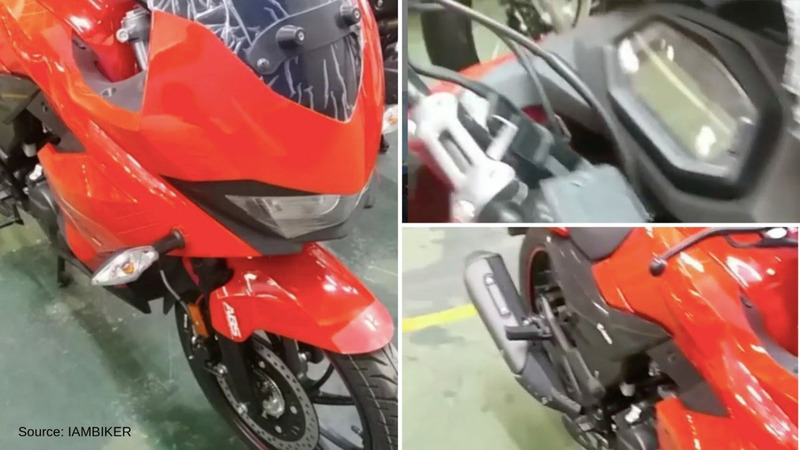 The motorcycle spied in this video does not feature any sticker or badging on the body panels except an ABS sticker on the conventional telescopic front fork and a Hero badging on the side panel. The upcoming HX200 R will share most of its parts including the platform with the Xtreme 200R and the Xpulse 200. Like we already mentioned above the instrument cluster is the same unit which you will also find in the upcoming Xpulse 200. We also believe that the motorcycle will even share the single piece flat handlebar, brakes and the alloy wheels with the Xpulse 200 and the road-biased Xpulse 200T. There is no doubt in the fact that the HX200 R will be powered by the same 199.6cc, single-cylinder engine that powers the Xtreme 200R currently. The unit has been tuned to produce about 18.4hp of peak power and 17.1Nm of peak torque and is paired with a 5-speed gearbox. However, you can expect it to be tuned differently for this upcoming faired motorcycle. There is a fair chance that the engine could possibly also be a fuel-injected unit that will make its debut with the Xpulse 200. Like we already mentioned above the upcoming HX200 R will share most of its parts with the Xpulse200 and the Xpulse 200T. The faired motorcycle will feature a disc brake towards the front as well as the rear. It will likely get a dual-channel ABS system. There are no words on when exactly Hero will launch the HX200 R in India. However, some online reports suggest that the fully faired motorcycle will be launched only after Hero introduces the new Xpulse models in India. As far as its pricing is concerned, expect the upcoming Hero motorcycle to be priced below Rs 1.3 Lakhs (ex-showroom). That said, The upcoming HX200 R will rival directly against the likes of the Bajaj Pulsar RS200.